In the Clear | Will You Miss Me When I'm Gone? Paul Oakley Stovall and Joshua Kobak share a moment in Clear. It’s been a very busy time, with so many great shows that I’ve been swamped. 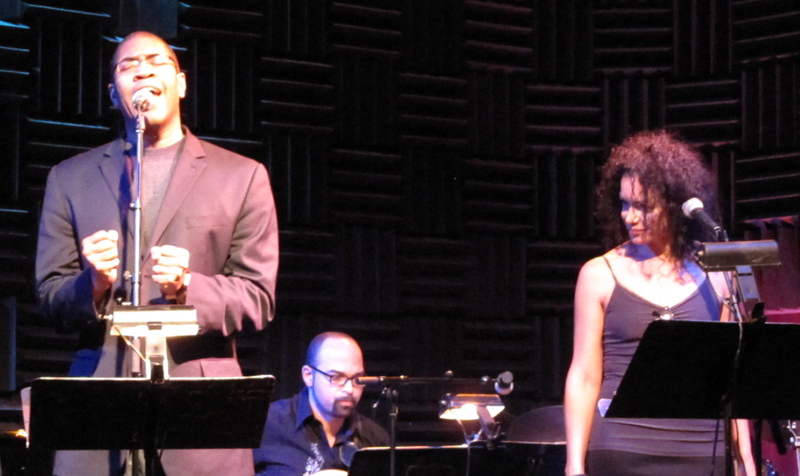 But one of the best things I’ve seen this season is Paul Oakley Stovall‘s autobio-musical Clear, which was performed in a developmental reading at Joe’s Pub in NYC on Monday, Nov. 30. Even in its unfinished form, Clear kept the audience enthralled with a beautifully told tale of the struggle of life. 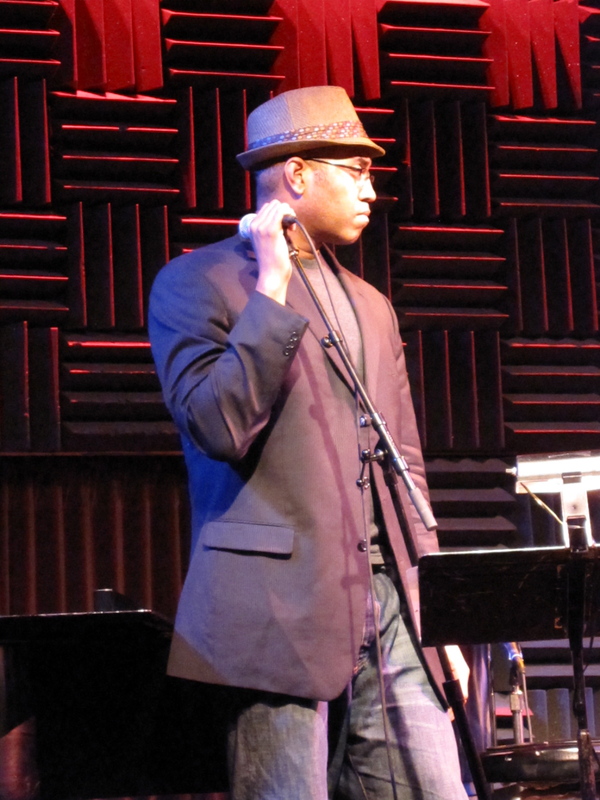 Paul Oakley Stovall onstage at Joe's Pub. Paul, a well-established singer, actor and playwright who has a day job working for the Obama administration, has written a show that anyone familiar with Passing Strange will find quite familiar. It’s the story of a black misfit’s journey through life. Though in this case, the central character also is gay. The show starts with a flashback to 1991, when Paul’s character was recovering he was shot in a case of mistaken identity in Minneapolis and is left temporarily crippled. It jumps around in time, tracing Paul’s journey of personal development — he admits he told his parents he as gay by writing them a letter — at home in Chicago, and in Stockholm, where he found he love of his life. Clear comes across as unadulterated autobiography. That was underscored by the fact that at least one of Paul’s lovers portrayed in the show was actually in the audience for the show. Paul introduced him to fans backstage after the show. 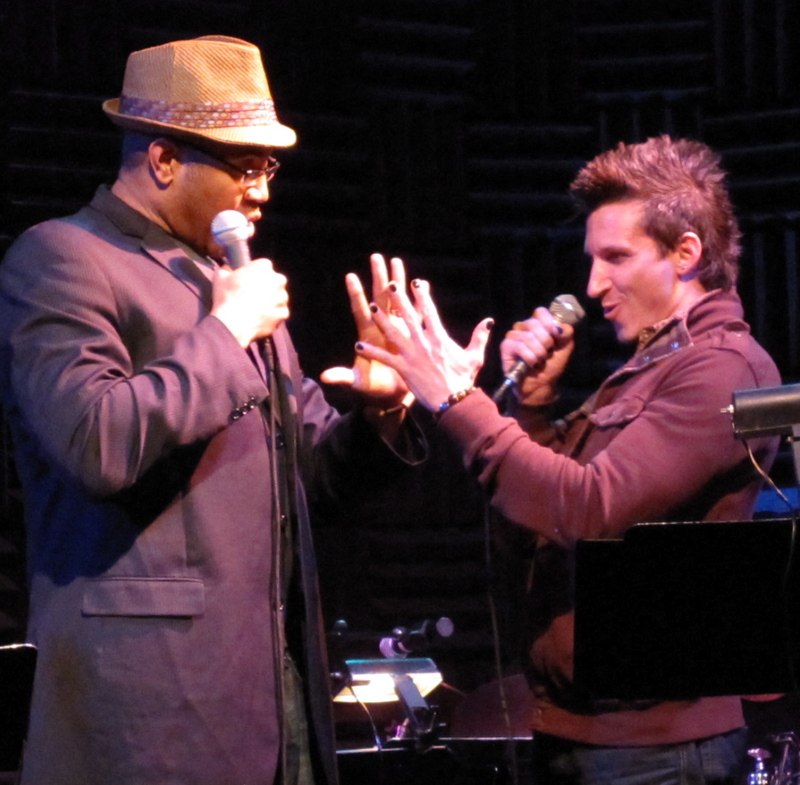 The cast of Clear at Joe's Pub. Paul is quite a talented artist. I’m sure Clear will return on a bigger stage soon. Don’t miss it when that happens. Paul Oakley Stovall, George Farmer and Yassmin Alers. This entry was posted in Music, Theater and tagged George Farmer, Heidi Rodewald, Joe's Pub, Joshua Kobak, Paul Oakley Stovall, Stew, Yassmin Alers. Bookmark the permalink.